The Compton Community College District (CCCD) Board of Trustees unanimously appointed Nicole J. Jones as a provisional board of trustee member for Trustee Area 2 at a special board meeting held on October 26. Pursuant to Education Code 5091(a) (1), the provisional appointment is effective November 1, 2016 through the next regularly scheduled election for the CCCD Board of Trustees, which will be held on November 7, 2017. Jones will take the oath of office at the November 15, 2016 CCCD Board of Trustees meeting scheduled for 5:00 p.m. in the District Board Room, 1111. E. Artesia Boulevard, Compton, CA 90221. Jones is a resident of Willowbrook. She serves as the director of external affairs for California State Controller Betty Yee. 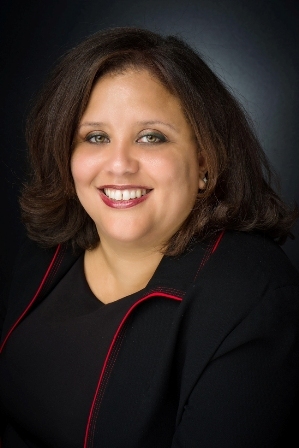 She has previously worked as director of external affairs for Crystal Stairs, Inc. and associate director of corporate and foundation relations at Loyola Mary­mount University. She has extensive experience in nonprofit management, public affairs and philanthropy, and has worked across multiple sectors including government, foundations, higher education and civic organizations. Jones earned a master’s of public administration degree at Bernard M. Baruch College in New York, and a bachelor’s degree in social sciences with an emphasis on urban education from the University of California, Berkeley. Compton Community College District Board of Trustees members are responsible for attending all Board meetings and key El Camino College Compton Center events, as well as participating in trustee education programs. The elected Board of Trustees have the authority to make motions, deliberate and provide an advisory vote, as well as participate in “closed session” meetings. The state-appointed Special Trustee continues to provide oversight and guidance, as well as maintain the authority provided in AB 318.